Home » Politics News » World News » REVEALED!!! The Truth About Hamas !!! REVEALED!!! The Truth About Hamas !!! After the ceasefire, Hamas still burns land in Israel with an incendiary balloon! This is a land at Kibbutz Nir Am in southern Israel that was burned by Hamas with an incendiary balloon! No one can tolerate the terror attacks that Hamas has done! Israel has the right to defend itself from the real terrorists Hamas! Hamas sent fire kites and burned an entire bee colony in southern Israel! No one can tolerate the terror attacks that Hamas has done! Israel has the right to defend itself from the real terrorists Hamas! This is a terror tunnel built by Hamas, and was discovered by Israel 2 days ago. And this is not the first terror tunnel built by Hamas! Hamas takes international aid to Gazans and invests it to build the terror tunnel like this. One tunnel costs $ 3,000,000! While Gazans lives in poverty, Hamas takes international aid for Gazans to live in luxury life and build the terror tunnel! After the stabbing terror attack in the Adam Community near Jerusalem, IDF raided the West Bank village of Kauber, home of a terrorist who stabbed an Israeli settler. This is the video of the riot at Gaza-Israel border fence. A Palestinian cutting the wire at the security fence on the Gaza border. He tried to infiltrated into the territory of Israel. Israel has the right to defend itself! The media will not tell you this! This is another video of the riot on the Gaza-Israel border fence. Palestinians cutting the wire at the security fence on the Gaza border. They tried to infiltrated into the territory of Israel. Israel has the right to defend itself! The media will not tell you this! It's been 127 days that Hamas launched arson kites and incendiary balloon from Gaza to southern Israel. This is fire caused by incendiary balloons that launched from Gaza. The stupid media will not tell you this! ISRAEL HAS THE RIGHT TO DEFEND ITSELF! Fire in Meflasim, Israel, 2 days ago. This is one of thousands acres of Israel's land that burned by arson kites and incendiary balloon that launched by Hamas from Gaza to Israel. Two Hamas members fired shots towards IDF soldiers near the Gaza Strip. In response, an IDF tank targeted a Hamas post from which the fires were shot. 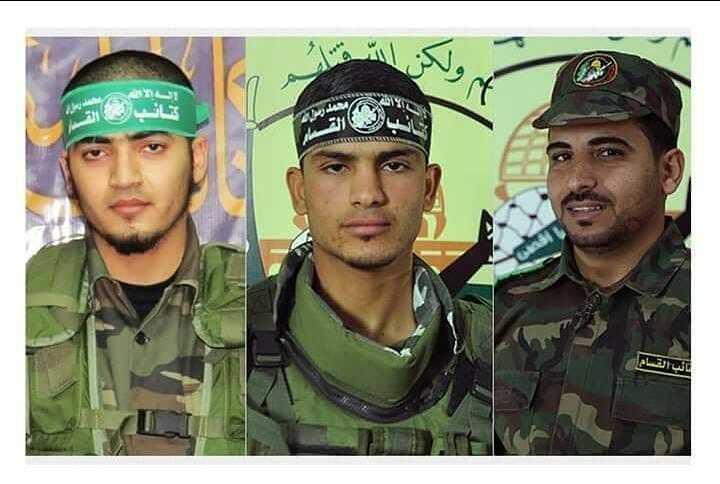 Two Hamas members were killed in an IDF airstrike. No injuries to IDF troops. I want to know what the stupid media tell you about this! This is the video when Hamas fired rockets into city of Sderot, southern Israel! Israeli civilians including the children running as a rocket from Gaza explodes near them. ISRAEL CAN NOT and WILL NOT tolerate the terror attacks threatening Israelis' lives! I want to know what the stupid media will tell you about this tomorrow! Terrifying video from playground in Sderot, Israel! Israeli civilians including the children and parents screaming, panicking, and running to shelter when Hamas fired rockets from Gaza! This is reality in Israel that the stupid media won't show you! Hamas has always targeted Israeli civilians! Last night the terrorists Hamas fired rockets at this playground in Sderot, Israel. So lucky there are no kids there! Sderot is home to 25,000 people. They're innocent mothers and fathers, brothers and sisters, sons and daughters. The stupid media will not tell you this! Israel Police and paramedics were in many areas in southern Israel overnight. This is the house of an Israeli civilian who was hit by rocket fire from Gaza into the city of Ashkelon, Israel, last night. And this is the children playground in Sderot, Israel, that was hit by rocket fire from Gaza. All the stupid media will not tell you this! This is the fact that stupid media will not tell you! Hamas fired more than 100 rockets overnight toward southern Israel, and the target is Israeli civilians! Hamas are the real terrorists! ISRAEL HAS THE RIGHT TO DEFENS ITSELF FROM THE REAL TERRORISTS HAMAS! IDF (Israel Defense Force) attacked Hamas post in Gaza! Video 17 : AUGUST 12, 2018. 2 days ago Hamas said they want ceasefire with Israel, but they sent 9,000 Gazans to the border fence and made riots there! 9,000 rioters are gathered along the security fence between Gaza and Israel. They are burning tires and hurling rocks, explosive devices, and firebombs at IDF troops and the security fence! They tried to infiltrate Israel border during the riots on Friday. Yesterday Hamas sent another bomb to the Be'eri forest in Israel. Hamas said that they want ceasefire with Israel. After you see this video, do you still believe Hamas really wants ceasefire? Hamas said that they want ceasefire with Israel. But yesterday they sent thousands of Palestinians rioted at the Gaza border fence, threw several fire bombs and IEDs towards IDF troops. Many of them tried to infiltrate to Israel territory. Do you still believe Hamas really wants ceasefire with Israel? Hamas don't want to make peace with Israel! 0 Response to "REVEALED!!! The Truth About Hamas !!!"